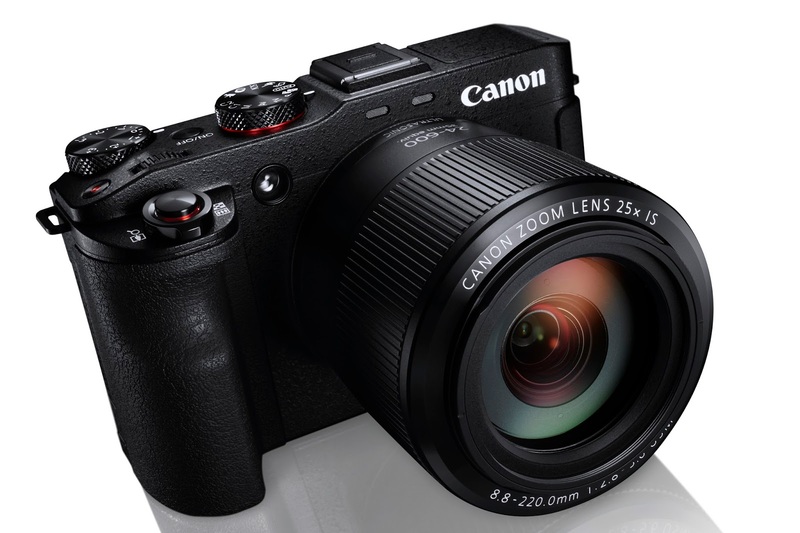 Canon launch the Canon G3X with 1" sensor and 24-600mm equivalent zoom! 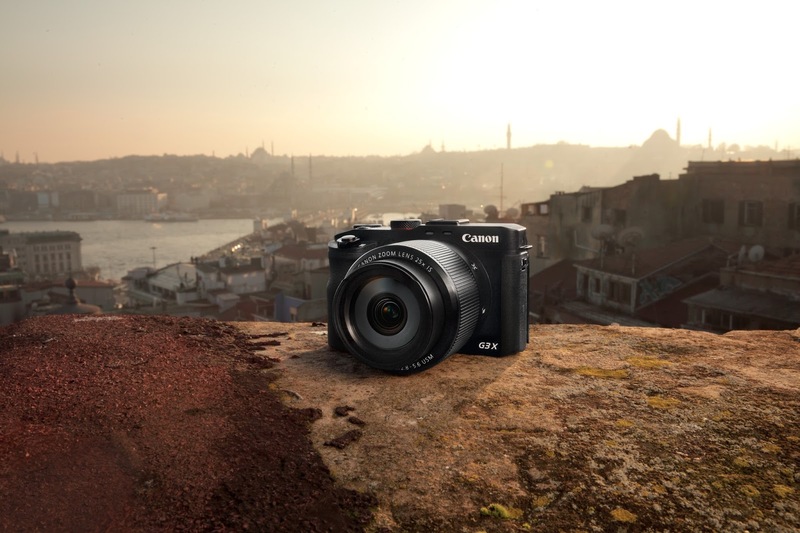 Canon have announced a new addition to the Powershot range - the G3 X. The G3 X offers a 20.2MP 1" sensor (large for a compact) and a stunning 24-600mm f/2.8-f/5.6 equivalent zoom lens. This will allow you to cover almost any subject from landscape to wildlife and sports and capture high quality images thanks to the lens and sensor quality. The combination of the large imaging sensor and advanced processor should mean excellent low-light capability too. The camera also features an extremely handy 5-axis image stabilisation system - essential when you are shooting at 600mm or in low light. The 5-Axis stabiliser uses optical and electronic stabilisation to achieve steady cam like results! A built-in ND filter will allow you to shoot 'wide open' in bright light and the 9-blade diaphragm should provide smooth defocussed areas. ISO range is 125-12,800 and the sensor is said to have excellent dynamic range so should retain details in shadows and highlights in ‘contrasty’ lighting. The G3 X will also shoot at up to 5.9fps (in single shot AF, 3.2fps in continuous AF mode) until your card is full thanks in part to the highly advance Digic 6 image processor. AF is said to be fast and accurate using a contrast detect system - it will be interesting to see how quickly this works for continuous AF. 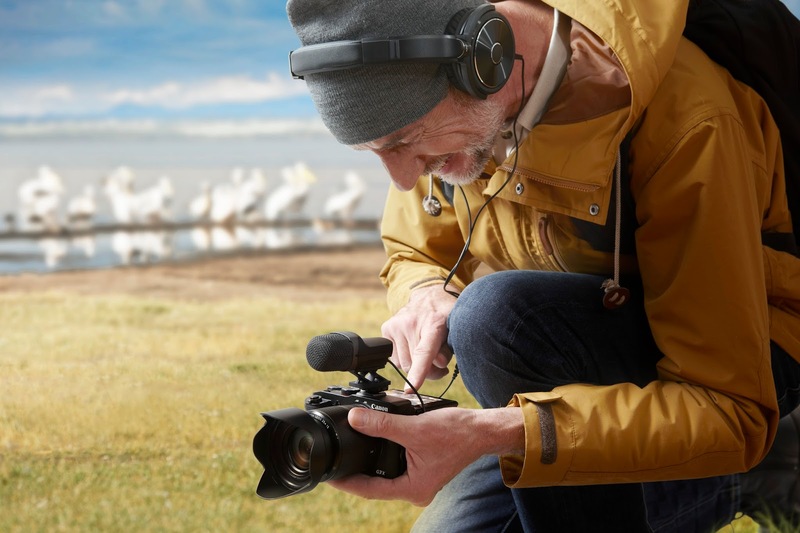 The G3 X is also a great choice for HD movie shooting with controls normally reserved for high-end professional cameras such as Manual ISO, Aperture and Shutter speed plus HDMI live output. The G3 X also has sockets for external microphones and headphones. Wi-Fi, NFC and remote control via smartphone and tablet are all included features - and very handy to have - and the G3 X will shoot raw images in a variety of aspect ratios too. The high resolution (1,620k dots) LCD screen is also tiltable - great for low angle shots and selfies! It is also a touchscreen - great for touch focus or focus-pulling when shooting movies. The G3 X is also moisture and dust sealed so can shoot in tough conditions (equivalent to EOS 70D standard) and has optional accessories such as a high resolution electronic viewfinder (EVF-DC1) and Canon Speedlites. So the G3 X would seem to be an excellent choice as an all-rounder for travel or where you only want to carry one camera and not have to change lenses - especially if you want to shoot HD movies with you in control. The Canon PowerShot G3 X will be available from Park Cameras from early July 2015. Pre-order and you’ll receive one of the first cameras available in the UK! If you want to be one of the first in the UK to see the G3 X, then visit Park Cameras at our Central London store on Saturday 27th June, where we’ll have technical experts from Canon UK in store to show you this camera, as well as discuss anything in the Canon range. Call us on 01444 23 70 70, visit one of our stores, or e-mail sales@parkcameras.com where we would be happy to discuss the options. If you've got a question about the Canon PowerShot G3 X, why not post a comment in the box below and we’ll do our best to answer them for you.